Go on into the night. 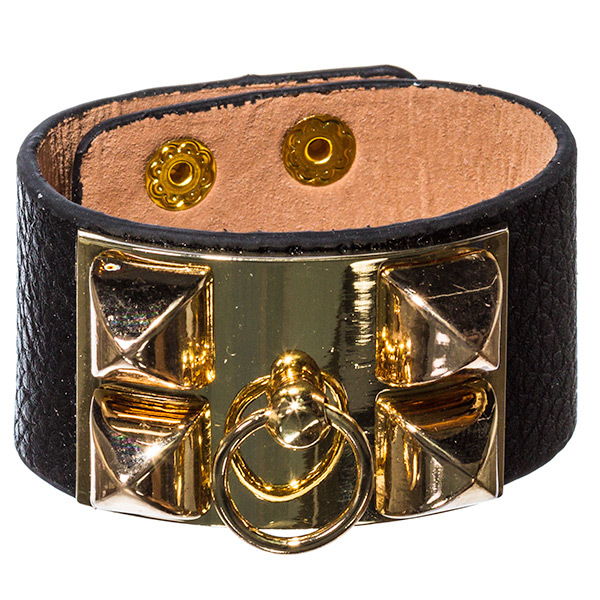 The Kimberly is a luxe and chic adornment for your wrist, mixing a timeless palette of noir and gold in a faux leather bracelet with metal and press-stud detailing. Style it with your L.B.D. or clash it with something pretty and floral. Spice up your favourite outfit with this lovely piece of fashion jewellery.